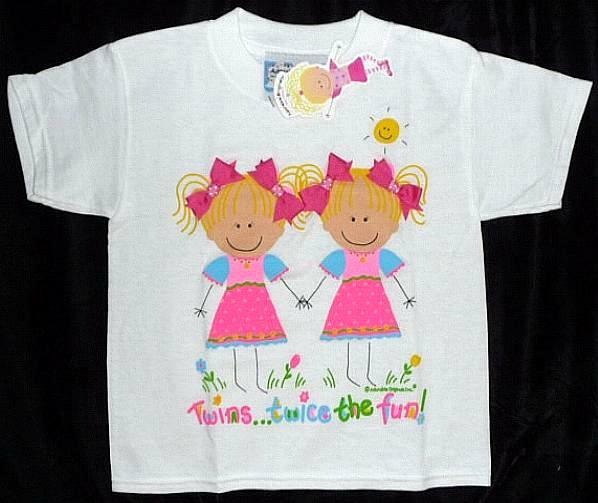 This Twins Twice the Fun T-Shirt is made in the USA by Adorable Originals. It is 100% cotton. Comes newborn and in 6 month size. 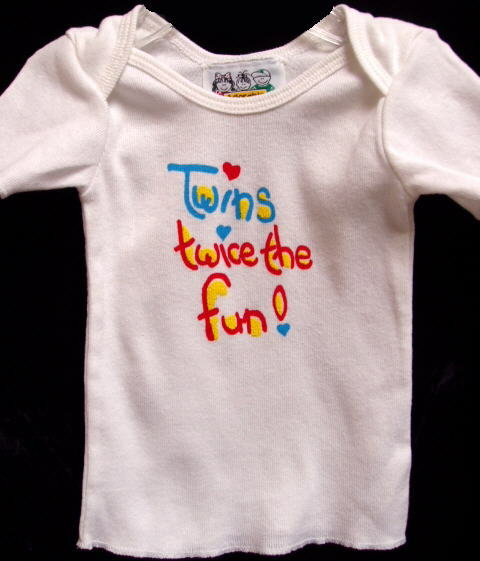 Twin clothing and twin gifts are the perfect baby shower gifts. They're many cute outfits to dress up and show off your new bundles of joy.. This Twins Picture Frame is by Russ. 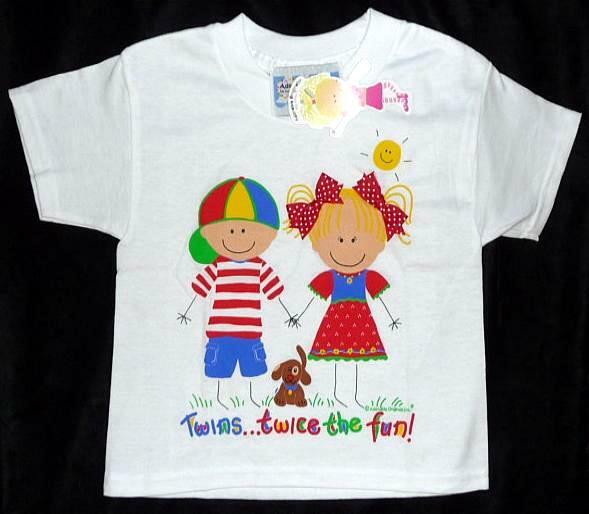 It proudly says "Two Of A Kind"
This Girl and Boy Twins T-Shirt is made in the USA by Adorable Originals. It is 100% cotton. This Girl Twins T-Shirt is made in the USA by Adorable Originals. It is 100% cotton. 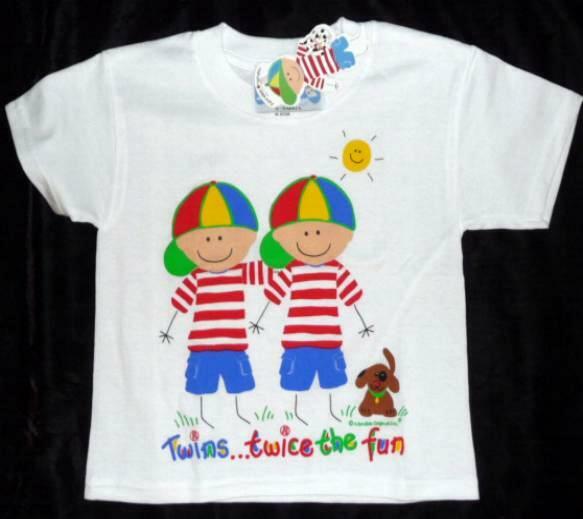 This Boy Twins T-Shirt is made in the USA by Adorable Originals. It is 100% cotton.